In this podcast Dr Sophie Gilliat-Ray of Cardiff University looks at the growth and development of the British Muslim Community. 1. What sources do you use when researching the history of the British Muslim Community? 2. What are the origins of the British Muslim communities? How did relationships develop between British Muslims and the wider British community. 3. 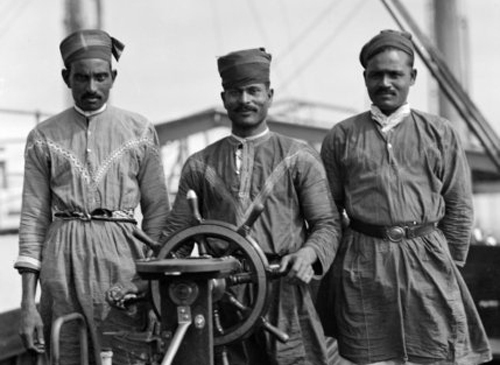 What impact did the World Wars have on the development of the British Muslim community? How did the community develop in the 50s, 60s and 70s? 4. The British Muslim community in the second hald of the 20th Century. 5. What was the impact of the terrorist attacks in New York and London on the British Muslim community? 6. How have British Muslim perceptions of themselves and Britain changed over the last 100 years? 7. How have young British Muslim's relationships with their religion changed in recent years? Has secularism had an impact? 8. Media representation and miss-representation of the British Muslim community.